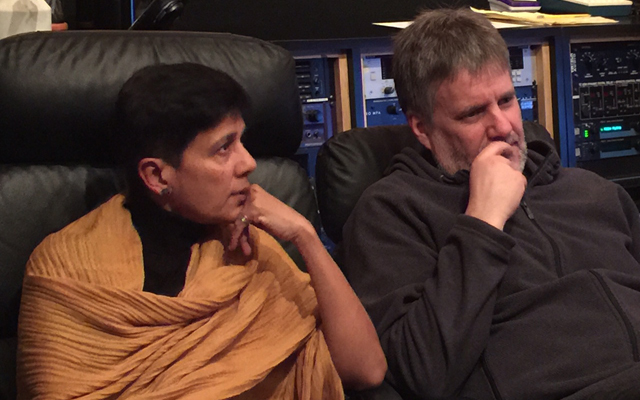 With every performance, of his, as composer, pianist or director, Frank Carlberg always makes a substantial gift to music. His largesse is never restricted to the piano, which, in fact, might seem somewhat shortchanged in the larger scheme of things. This is only partially true, of course, because what the piano lacks in show time, it makes up for in content and substance. Moreover Carlberg the pianist pays homage to ‘the idea’ before he lets pianism take over. And he ends the year 2016 with two scintillating recordings that show him worshipping at the altar of originality as a complete musician. 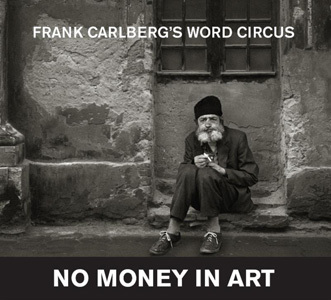 His November release No Money in Art features a relatively recent group Word Circus. The group features not only the pianist, but also the ineffable Christine Correa, a prodigious artist who is able to patiently pour her voice into a formal narrative and poetic content which enables its consoling, aura of humanity, revealing a deep love of colour and melody. 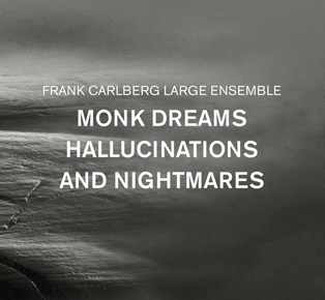 On Monk Dreams, Hallucinations and Nightmares, the other Frank Carlberg recording to be released in early 2017, the pianist celebrates the haunting ideas and approach to music by Thelonious Monk via the iconic 20th century genius’ association with big bands, to be precise. Both these recordings show Frank Carlberg to be a musician with a strong sense of adventure, not to mention commanding keyboard skills, capable of savouring the challenges that fill Monk’s evocations even as his (Carlberg’s) interpretations reflect on the discovery of radical new dimensions of Monks’ music. For this, Carlberg employs a large ensemble, something Monk only did on two known occasions. The transformations that ensue at the hands of Carlberg are bold and far-reaching, yet always obedient to the diabolical angularity of Thelonious Monk. This record is an eloquent demonstration of the art of Frank Carlberg; one which encompasses social commitment. On No Money in Art Carlberg leads the charge with an acute sense of the lyrical and the dramatic. Marrying music with the poetry of Jim Gustafson, Ken Mikolowski, Ron Padgett and Anselm Hollo, Carlberg turns Word Circus into a kind of experimental theatre in the manner that calls to mind the work of Bertolt Brecht. (Mother Courage jumps immediately to mind.) The demands of such an artistic undertaking are great on so many levels that any hint of expressive or technical hesitancy might threaten to undermine the character of these pieces entirely. Carlberg never shies away from the dangers that lie around every corner of these poems. Together with Christine Correa, the pianist becomes an intrepid guide imbuing each piece with the breathing space, thrusting intensity and – in the case of Gustafson’s ‘No Money in Art’ – the explosive drama that the poets have summoned to share impressions of and comments on the deeply tragic and cathartic nature of their art. Word Circus personnel, saxophonist, John O’Gallagher, bassist Pascal Niggenkemper and drummer Michael Sarin join Christine Correa and Carlberg in exposing the desolation of the poetry with both wit and brutality. Track List: No Money in Art; The Nail; Banner Spangled Star; Headline Haiku; Clarification; Verbal Scenario; Nothing. Personnel: Christine Correa: voice; John O’Gallagher: alto saxophone; Frank Carlberg: piano; Pascal Niggenkemper: bass; Michael Sarin: drums. At the very outset it bears mention that this recording features only the one Thelonious Monk composition. In this regard it varies dramatically from Heiner Stadler’s great 1978 vinyl release entitled Tribute to Monk and Bird and, of course, all of the repertory works by Steve Lacy and Roswell Rudd. What makes Stadler’s work significant is that it relocates the audacity of Monk’s visceral works and their context within the rhythmic indentations of bebop to a landscape of volcanic improvisational eruption. In a sense Stadler was himself being audacious in his musical suggestions of Monk in the Modern Era (post- the 1960s advancement of Jazz following the avant-garde). But Frank Carlberg has employed a dramatically different literary device: his phantasmagorical Monk is akin to subliminal music that lurks in the subconscious of virtually pianist who thinks and dreams music. The titles of the songs twist, invert, suggest, subvert and rethink Monk songs (even song-titles) in every possible way. This is Frank Carlberg working a big band on an Olympian scale, demonstrating ever so eloquently that Thelonious Monk’s experience translates well into more universal interpretative approaches. The music is symphonic in structure and it is performed by a stellar group of brass, woodwinds and rhythm sections conducted by an intrepid JC Sanford. Notes form phrases and long, tempestuous lines that seem suspended in an atmosphere heavy with tension, which only dissipates like an exploding valve in ‘Round Midnight’. What a glorious way to begin the year 2017 with Frank Carlberg. Track List: Dry Bean Stew; Rhymes; Sphere; A Darker Shade of Light; Beast; You Dig! ; No Fear, My Dear; International Man of Mystery; Always Night; ‘Round About Midnight. Personnel: Trumpets and Flugelhorns: Jonathan Powell, Kirk Knuffke (cornet), John Carlson, Dave Smith; Trombones: Alan Ferber, Chris Washburne, Brian Drye, Max Seigel; Woodwinds: John O’Gallagher, Jeremy Udden, Adam Kolker, Sam Sadigursky, Brian Landrus; Voice: Christine Correa; Piano and Rhodes: Frank Carlberg; Bass: Johannes Weidenmüller; Drums: Michael Sarin; Spoken word: Paul Lichter; Conductor: JC Sanford.